Conference room rentals in Mississauga and other cities within the GTA can help to improve your office morale, increase efficiency and work productivity, while also providing a much-needed change of pace from the everyday monotony of working in an office setting. As an increasing number of modern small-and medium-sized businesses take the plunge into downsizing their office spaces to encourage a more collaborative and intimate working environment for their employees, it makes sense to rent conference rooms on a need-be basis rather than paying for spaces that are used only occasionally. Open concept offices may be the wave of the future as more companies are reveling in the notion of having their employees convene in an open space where collaboration and unfettered discussion of ideas are widely encouraged. However, this doesn’t eliminate the need for a private space to take calls, hold confidential departmental meetings, and escape the public space for a little rest and respite. 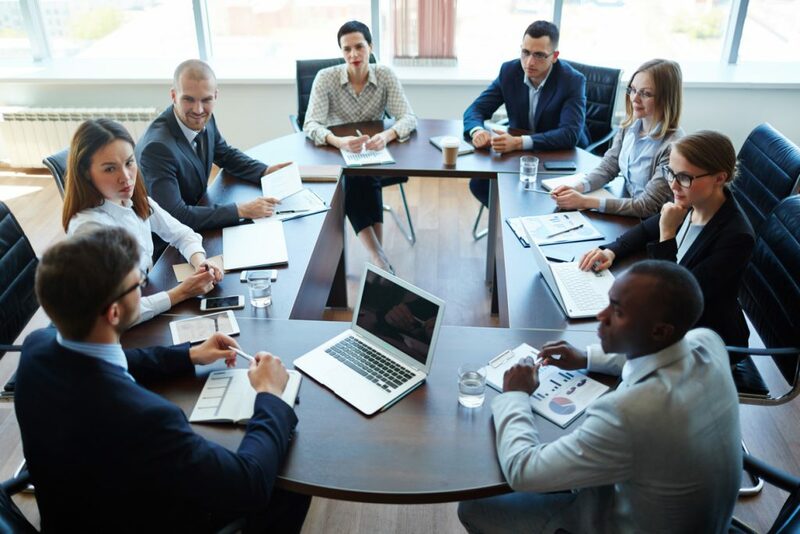 Renting a conference room from time to time rather than making announcements or holding impromptu meetings in the open office space is an excellent idea. It reduces the frequency of holding pointless and time-wasting meetings concerning information or subject matter that could’ve easily been communicated via a companywide e-mail or memo. It also means that company figureheads and department leaders will take greater precautions and be more mindful when scheduling meetings and reserve them only for truly pressing matters rather than holding general meetings on a regular basis. Your company will save a substantial amount of money by renting conference rooms only when you need them, rather than having to pay for a space that’s only going to be used once in a while. Innovative Professional Offices offers first-rate conference room rentals in Mississauga, Toronto, Ottawa, and throughout the GTA. All of our conference rooms come fully furnished and are equipped with all of the latest office technology to guarantee the best possible experience for yourself and your employees. We also provide a full administrative staff, Wi-Fi access, IT support, and a fully stocked kitchenette for your convenience. For more information on how to rent a conference room in Mississauga for your next company meeting, please contact us.